- What do you think of their price? The Motorola G series is a solid Android phone for the price, and the upcoming Motorola G7 update looks like it'll maintain that expectation. Another glimpse of the line has leaked, thanks to new renders along with supposed European pricing details, which have all surfaced ahead of a potential launch at MWC 2019 next month. While we've already seen these devices in previous leaks, this latest look has some slight differences among the different models. For instance, the entry-level model, the Moto G7 Play and G7 Power, are both pictured without a teardrop notch. 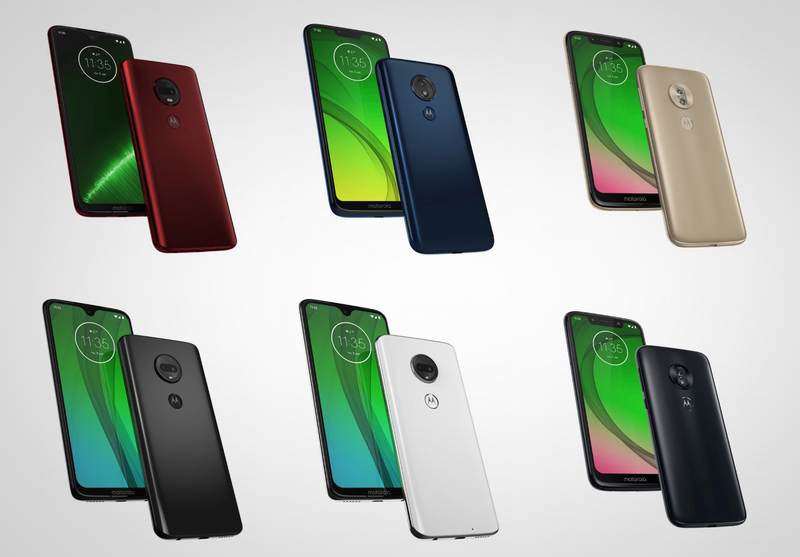 That same style of notch, however, has been seen on the Moto G7 and Moto G7 Plus. As for their pricing, they will supposedly be cheaper, likely due to the design differences. The Moto G7 Play will reportedly start at just €149 (translates to $170) in European markets, while the 5,000mAh-powered Moto G7 Power is expected to cost €209 (translates to $238). Pricing for the Moto G7 and the Moto G7 Plus have not yet leaked out. Now, the Moto G7 and Moto G7 Plus are thought to run on a Qualcomm Snapdragon 660 chipset. But the Moto G7 Play could come with a Qualcomm Snapdragon 632 chipset instead, and the Moto G7 Power might have a Snapdragon 625 chipset. Both phones should feature a dual-camera setup, too, and a fingerprint sensor under the logo. In terms of shades, these leaked renders show gold, silver, and other colours. If you want to know more about Motorola's new budget handsets, just be patient. They are expected to be unveiled at an event next month.